UDHR is the one universally accepted document that identifies those inalienable entitlements that all human beings have, regardless. 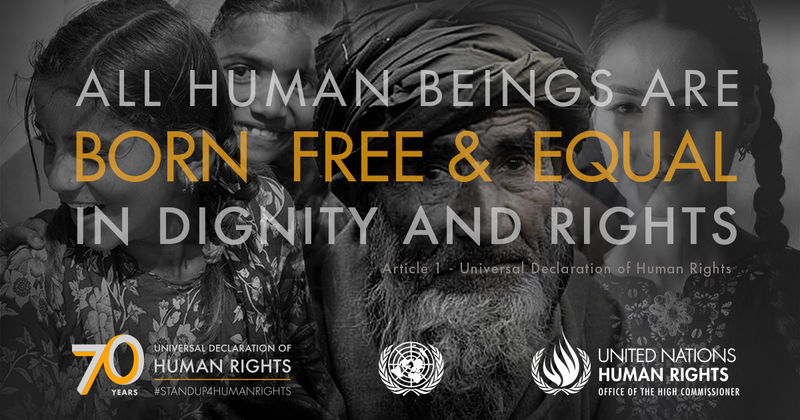 Human Rights are those universal entitlements that everyone should have by virtue of being a human beings. They are documented in the Universal Declaration of Human Rights, which is the most globally accepted document by countries around the world. It lists thirty articles identifies the fundamental rights that everyone every where should be able to access and enjoy without prejudice or discrimination. The Office of the High Commissioner for Human Rights leads the UN System's global activities related to human rights. Universal Periodic Review - is a unique peer based process by which countries review each other and make recommendations on how to better deliver on human rights issues.